The Alexsan Kopano Educational Trust has been in operation since 1990. Over the years it has been primarily involved in setting up multi-purpose centres and researching, coordinating and running projects that serve the local community. In addition it has supported National Government on a variety of task teams. Handled a national project for UNESCO and jointly set up the Gauteng Organisation of Community Arts and Culture Centres. With its initial origins in Alexandra the Trust now focuses on development projects within the Province of Gauteng. 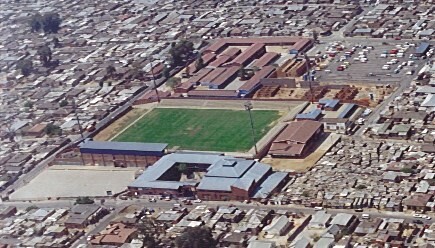 The mission of the Alexsan Kopano Educational Trust is to assess the development needs of the communities in which it works and to plan, organise and implement initiatives to meet these needs in a way which embodies the principles of democracy, empowerment, self-reliance, sustainability and co-ordination of effort and resources. Secondly, to share our experiences and assist in the development of similar projects both provincially and nationally. The Alexsan Kopano Educational Trust has given the management of the Alexsan Centre to the Alexsan Kopano Trust. The Alexsan Kopano Trust looks after the centre, the library and related projects; the Alexsan Kopano Educational Trust manages a variety of projects throughout the province under the National Facilitator (see Chairperson?#128;s report). The Alexsan Kopano Educational Trust is committed to community development and is involved in a range of services to the community throughout the Province of Gauteng. Page last updated: 13/08/2016 .